Are you taking full advantage of barbecue season? 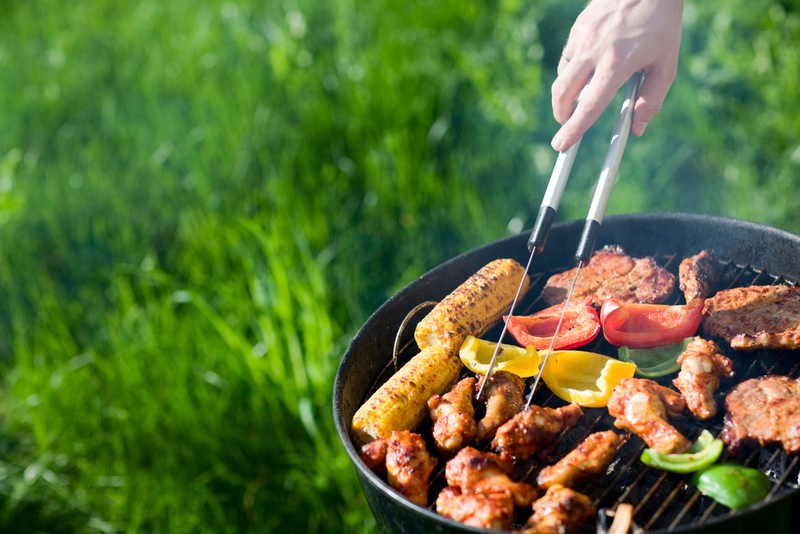 Whether you’re a master of the grill or simply a barbecuing amateur, there are an array of tips and tricks to consider when preparing for your next meal. Did you know that by soaking wooden skewers or toothpicks in water for at least 20 minutes before using on a hot grill will keep the wood from burning? Also, it’s best to use tongs or a spatula to turn meat on the grill; piercing it with a fork lets precious natural juices escape. What about marinating? Marinating quickly tenderizes meat and adds additional flavour. Use roughly one to two cups of marinade for every one and a half to two pounds of food. The marinade should completely surround the food and cooked meat should never be returned to a cold marinade. Try something different when roasting or grilling with a closed barbecue pit. Open a can of beer and place the beer over the hottest part of the fire. The beer will start to boil, super saturating the air inside with water vapour, beer flavours and a touch of alcohol. It keeps your roasting meats moist while adding additional flavour. It is usually best to turn the meat only once when grilling. When the meat requires a greater doneness, simply close the lid so heat is applied to all sides simultaneously. Use this table provided by howstuffworks.com when deciphering approximate cooking times for your meat. A meat thermometer helps too— medium-rare beef will register 150°F on a meat thermometer; poultry, 180°; pork, 160°; lamb, 160°.